I am a passionate collector. But definitely not a regular one. My weird collections were generated through lots of trips, step by step. It took me years and travels to fill it up. Proud to announce, I own some really strange exhibits, which cannot be exposed though. Most of my achievements were cumulated during the last 10 years. Some of them were gained unwittingly. Now I finally set the order and structured those collections. It’s kind of a hobby to collect, isn’t it? Some people collect toys, dolls, stamps, post cards, coins, badges, porcelain figures… I do collect too. The difference is I collect moments, not things . Those moments make me feel incredibly rich and you will understand why, reading the lines below. My weird collections include karaoke cities, full moons, traditional local clothes and flights. Possibly I have other collections too, but they are in a process of completion, so I’ll leave it aside for the moment. My repertoire is a bit old fashioned, as I love evergreens and enjoy singing songs by Bee Gees, Barbra Streisand, ABBA, Frank Sinatra and etc… I like also the new modern singers, but have not spent much time learning their lyrics. Let’s see the collection. 12 years ago I visited Beirut, Lebanon and my hosts brought me to a karaoke pub. I have never been before and was quite curious. My first karaoke attempt, though, was a real disaster. The songs’ list was full of Arabic performers, who obviously I was unable to follow. The rest was unknown or foggy to me. Blindly picked a Roxette song, not having a clue about the lyrics and what I should do. It was an embarrassing karaoke performance, with lots of silent moments, but the audience was kind to me and anyway applauded. Every struggle usually motivates me to improve and get better. So, next time in Freiburg, Germany, the karaoke enforcement was not a failure. Hey, months later, I received a karaoke night award in Prague, Czech Republic. 🙂 Well …the collection gets quickly enlarged. 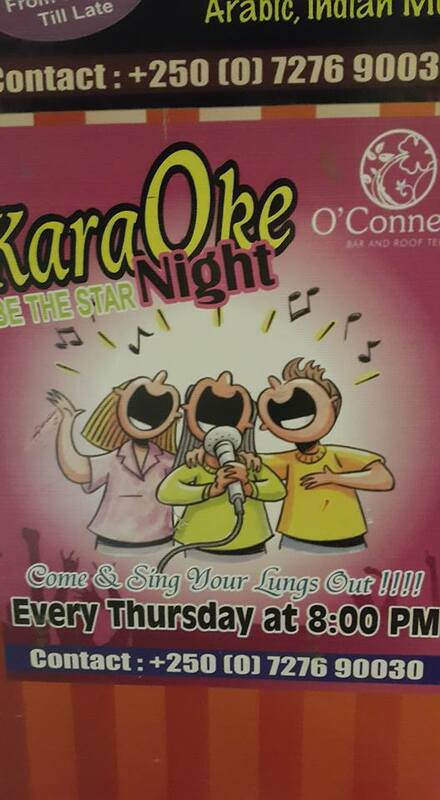 Karaoke night promoted in Kigali, Rwanda. Not sure, it gradually turned to a habit or a hobby of mine. 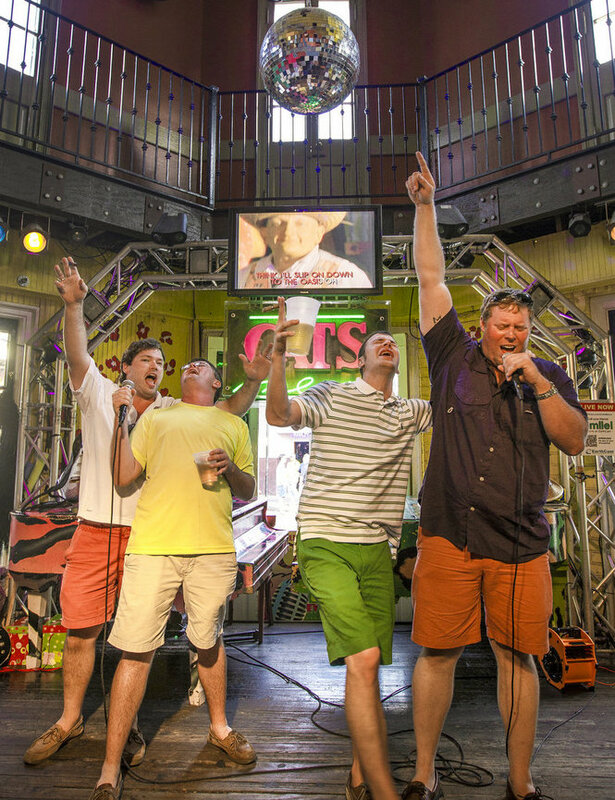 Wherever I traveled, was curious to try the local karaoke. Not anymore a beginner, already aware of the text following and not blushing all the time, I got braver. Was actually a thrill to sing in different places, relaxing and recharging at the same time. So, I headed to my next karaoke in Barcelona, Spain. Really famous karaoke spot in the former Olympic village, right at the sea shore. Again in Spain, I added to my karaoke collection Valencia, Benicarlo and Tenerife island. I have never looked at myself too seriously and all those crazy moments were about having fun. Feeling already like a “shellback”, later on I performed in Cairo, Egypt and Djerba, Tunisia. I missed out the karaoke night in Kigali, Rwanda, but caught it up later in Cape Town, South Africa. I even made kind of a scale in my collection. 1. My most remote karaoke spot – Bali, Indonesia. 2. The scariest one – London, UK (overcrowded and noisy). 3. The most pathetic – Beirut, Lebanon. 4. The most unforgettable – Crete island, Greece. 5. 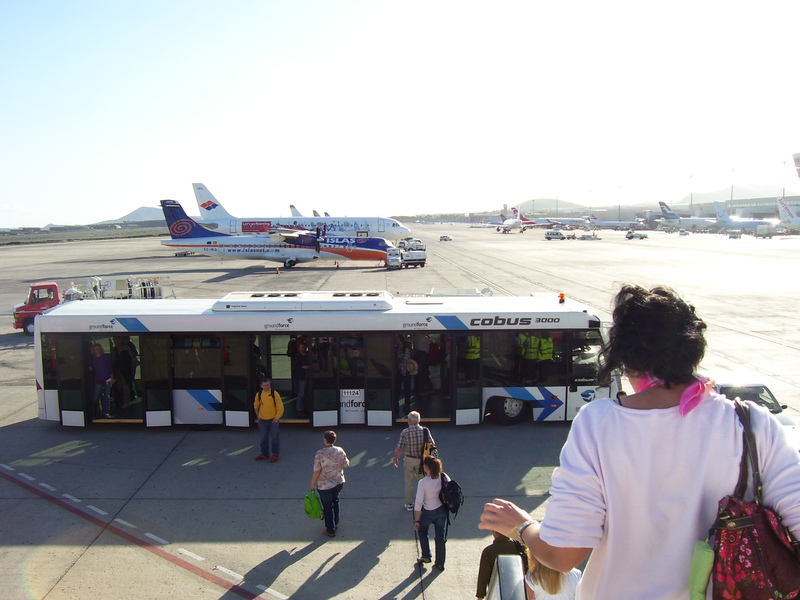 The most frequent – Sofia, Bulgaria. Here I am, having a karaoke city collection, that brought lots of fun, but also helped me to train my confidence, interacting and performing in front of full of people halls, no matter where and who. It was much easier later to handle speeches and presentations in public. 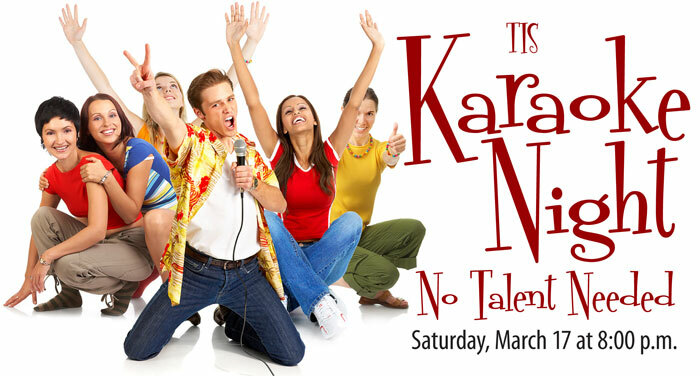 So karaoke definitely boosted my career confidence a lot. I started collecting full moons quite late. In fact, the beginning of that collection was established in early 2015. The idea and significance were simple – every month new country for each full moon. Full moon happens once a month, usually in the end of the month in 2015 (20+ date of the month ). To be honest, I noticed a bit late the trend. In the middle of 2015, I found out that every month, around the full moon time, I ended up in a different country. At this time it was just a coincidence. I did not mean to plan it, just happened. 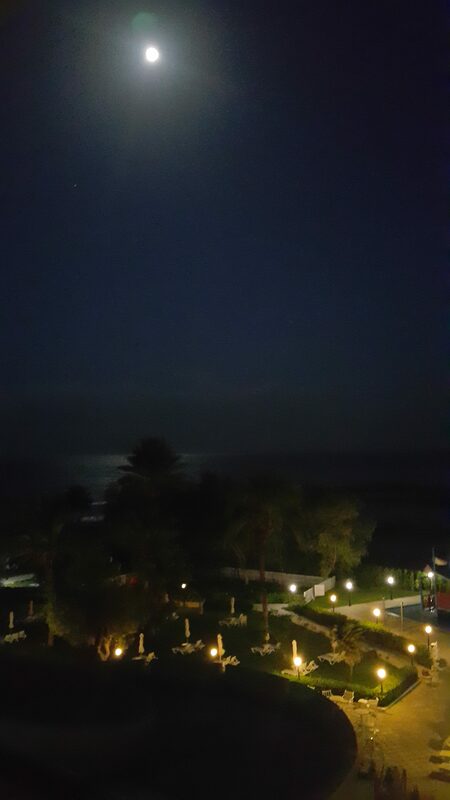 After a full moon in Doha, Qatar, next month my full moon happened in Dubai. Then in 30 days I watched it in London, UK. A month later in New York, USA. 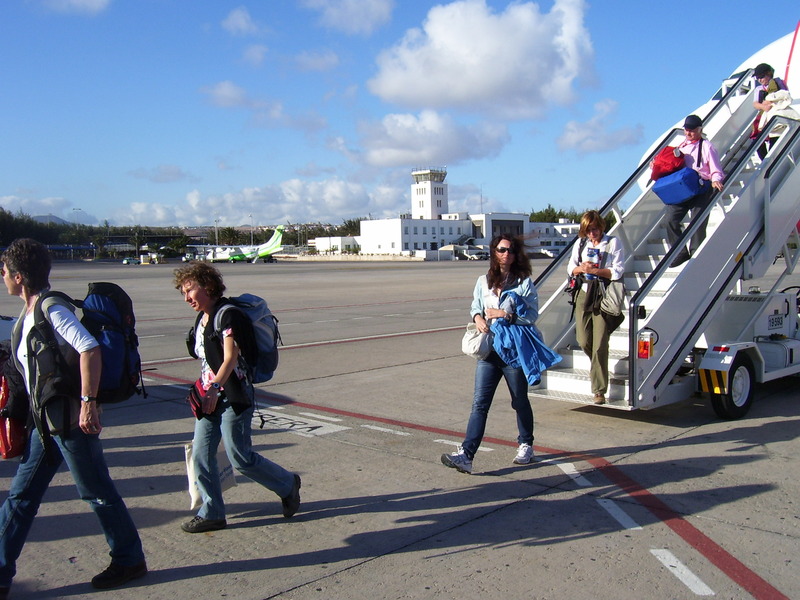 Then I jumped to Sofia, Bulgaria for the next full moon, but headed for another one to Barbados, Caribbean. I know it’s crazy. In Barbados, fighting the jet lag, watching the full moon (the video above at 3 am , dark as Hell ) I realised it’s kind of a trend. And it was just the beginning. At this moment I was already aware of the potential of my full moon collection and was willing to complete it. Intentionally, I started planning my next trips according to the full moon forecast. The astrologists say the full moon is a sign something is going to its end, a symbol of the final and completion. So, I found it quite funny to pop up in a new place around this event, challenging the expected end, but also facing a new beginning, a relevant start after the end. 2015 year final found me in Johannesburg, South Africa, so my African full moon was already arranged there. Same country, but different city for the first month of 2016 – I was enjoying the first full moon of the new year in Scarborough, just 30 km away from Cape Town, very close to the “end of the world” Cape of Good Hope. My February full moon was kind of neutral. I was looking at it through the illuminator, on the long flight from South Africa to Istanbul, Turkey. And then March, April and May full moons in New Jersey, USA. Ohhh, the trend stopped and I feel stuck. Time to move on for my next one. It’s kind of a thrill of mine, wherever I go, I buy or order a traditional local costume. I used to spend at least a day(sometimes longer), dressed like a local girl. It gives me an idea what’s the feeling to be in “other people’s shoes” and helps me to understand the native-borns better. Need to admit it’s also an ice breaker. Dressing myself in a country’s garb, makes usually the natives smile, but at the same time to trust me, eases the acceptance and sets me closer. On other hand, I really feel happy and enjoy experiencing outlandish outfit and style. I got it proved. My crazy clothing habit breaks the cultural boundaries and improves each other’s communication. I heard lots of judgmental statements about local clothing, but it doesn’t change my opinion at all. I find all clothing styles impressive, introducing perfectly the local traditions, rituals, culture and belief in an elegant way. I still keep all my garbs from Egypt, Morocco, Rwanda, Sri Lanka, Qatar. 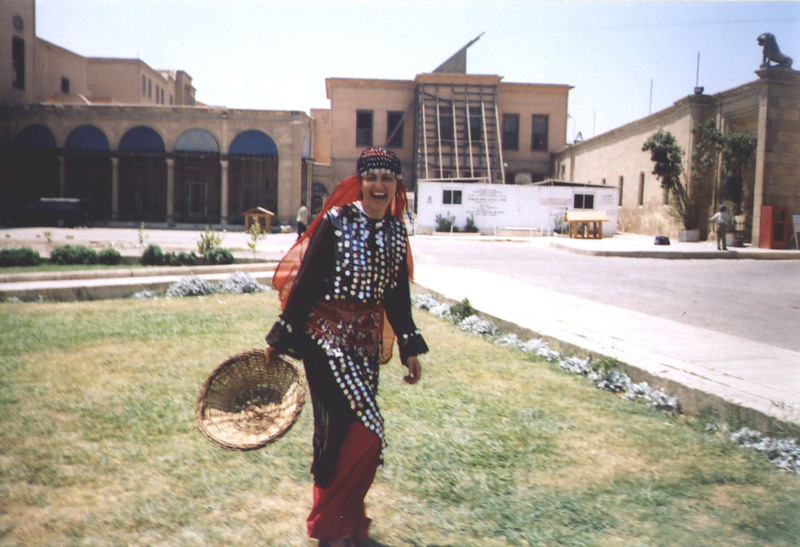 Maybe I’ll never wear those traditional clothes again, but they soaked a great memory, part of my adventurous travels. Also each can tell a different unforgettable story. Wearing some of them, I felt very comfortable. Other made me feel mysterious. My bedouin desert outfit from Egypt was beautiful and attractive. It truly provided lots of fun. The Rwandan green dress inspired many people in Kigali. To finally get it done, it was a heavy, long lasting procedure, with many Rwandans involved in. Firstly, it was not easy to find and pick the proper fabric and design. A lot of fabric traders fought for my attention and potential purchase. Then I should choose the tailor among so many working directly at the veggie market. It’s a tough job and the design of the dress must be carefully considered. Finally the fitting session. 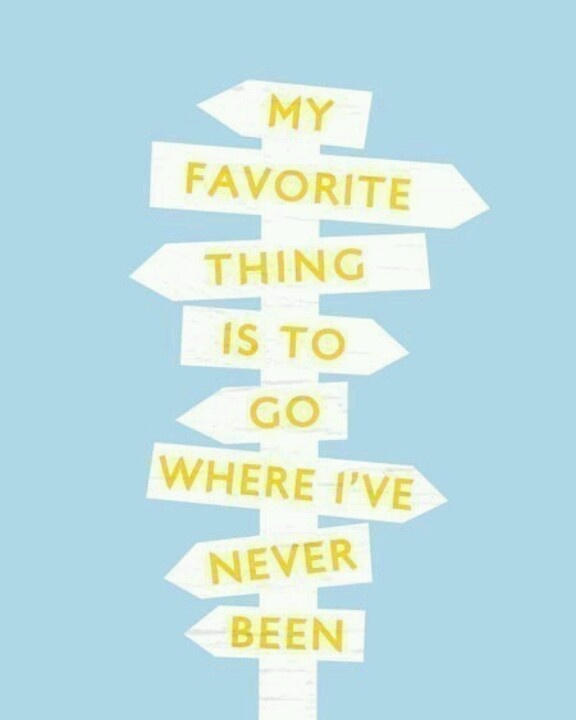 Gosh, I am getting dizzy only remembering what I have gone through, But it was worth it. Witnessing my inspiration and impatience to wear a local dress, all Rwandans involved in this manufacture chain, did their best. My local clothing style made me the star of the day. 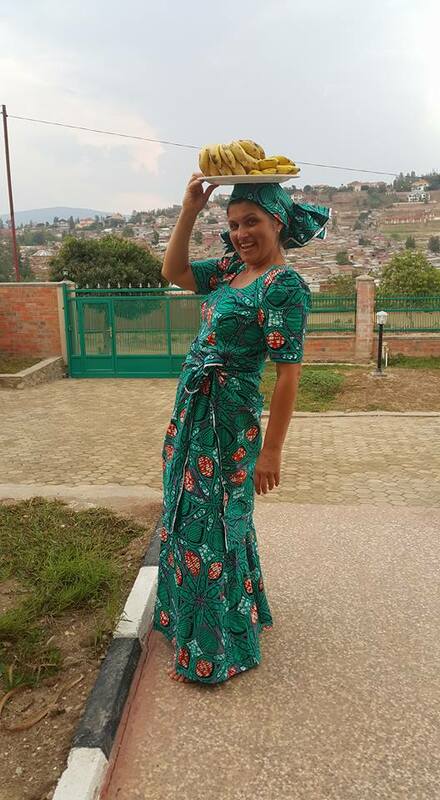 In Kigali is really rarely seen white woman to get attracted by the local clothing style. I can say, my Rwandan dress adventure was much appreciated by the locals and we had lots of fun together. In Sri Lanka it happened naturally. After my Ayurveda massage near Sigiriya. The guide drove me to a local shop for sari (Beautiful Indian/SriLankan female dress), just minutes before the shop got closed. The owner was visibly confused by my request. 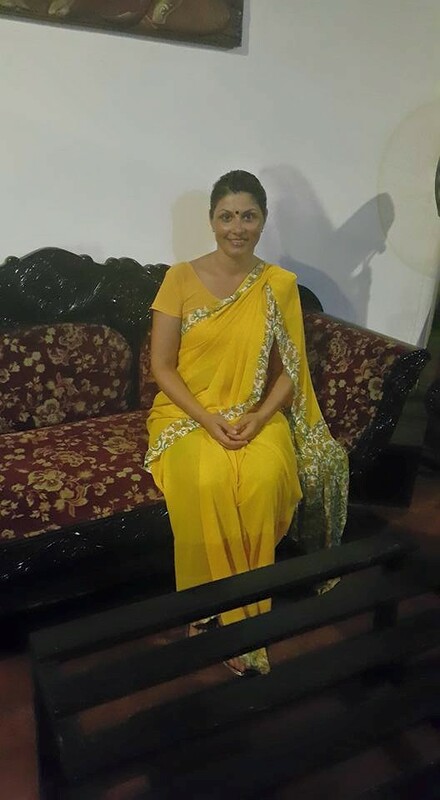 Anyway, he quickly arranged all staff at my disposal until the beautiful yellow sari was completely finished. For more authentic looks, I got Bindi – the traditional dot at the forehead between the eyebrows (which actually marks married women). Believe me, it was such an extra ordinary event that eventually I felt like an Eastern princess. It was a pure joy to me. Whoever saw me, thought I must be an Indian. But just because my olive skin is lighter than Srilankan one. I still looked somehow …local. 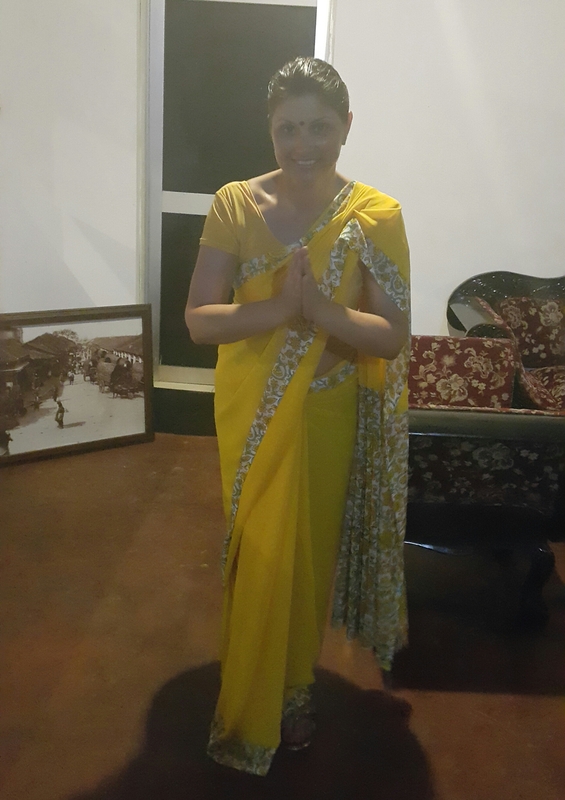 My Sri Lankan outfit became a festive time for all of us. Egypt, official jellaba for weddings. About abaya I already shared info in my previous articles. Just need to confess I felt also very local in Cairo, wearing this dark blue jellaba, covered by beautiful golden ornaments. I spent a day hanging out. It was a huge attraction for the tourists, but the Egyptians immediately revealed my conspiracy. They said it was obvious I am not an Egyptian, because I did not have the usual heavy make up around the eyes. Usually the eyes are the only visible facial part, so the women pay a special attention, underlining eyes by specific (mostly black) make up. I should fix my fault next time. No doubt, my collection of traditional local clothing will be enlarged shortly. That’s not my own collection. The flights are mine, but I am to the one who counts them, neither takes care of the actual number. 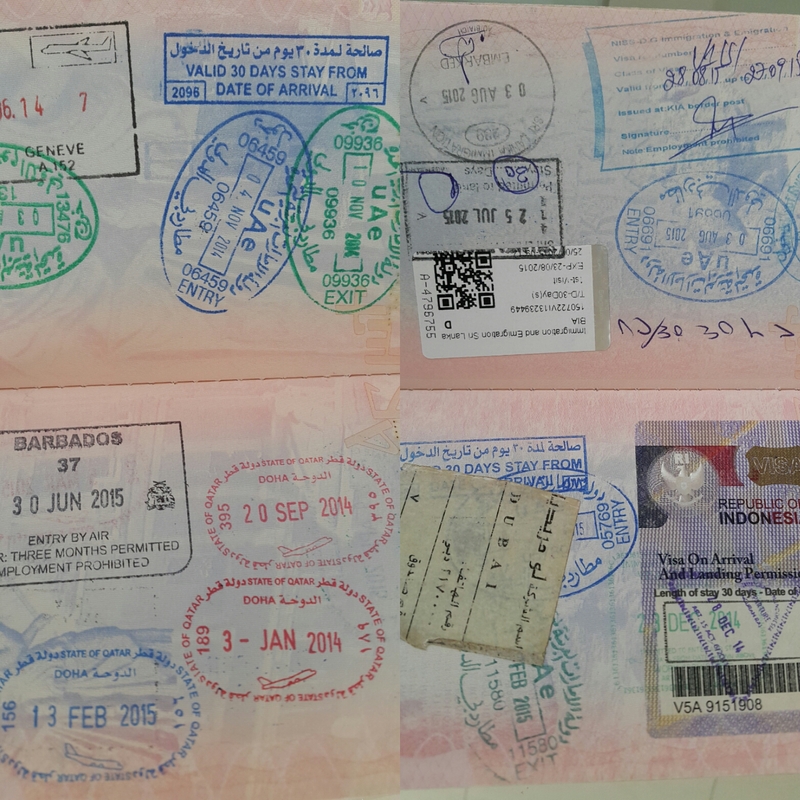 My close friends admire my craziness for travelling the world, so they started this collection long ago. That’s a shame. People around me consider my existence by my flights and all they think that happens to me is to fly. A school mate of mine, currently a pilot with Qatar Airways, taught me a very significant lesson. The most important thing, while flying, is the number of take offs to be equal to the number of landings. I am doing my best to keep the balance, but unfortunately it depends not on me. So, hopefully his colleagues will keep taking care of my collection and will follow up the final number to be always even. I have no idea how many flights beyond 250 I added, but would be great the future ones to reach their final destination successfully. 4 hours later: “Good day, ladies and gentlemen, your captain speaking. We just lost the left engine, nothing scary, we have two engines more, we wish you a pleasant flight”. So…summary… I am very open to start a new collection and to enlarge enormously the existing ones. Please feel free to help and support my efforts by suggestions, invitations or brilliant ideas about my crazy weird travel collections.